So I yesterday I went on a little road trip to Manchester Airport to pick up my boyfriend who has been in Canada for the last 6 months. A Car - probably an obvious one but no trip can work without some wheels. When I started learning to drive (against all my friends recommendations) I bought a new car (even before I passed my test). My car is pictured above - it's the Vauxhall Adam. A Camera - I like to document things in my life either by picture or by video so no trip is without my camera. I currently have the Canon G7X (which I love). Google Maps - Even if I know the road well or I have researched it before hand - I do have the Google Maps app stored on my phone for emergencies. It's very helpful and I find it much more detailed compared to the built in maps app on the iPhone. Healthy Snacks - It's good to take a snack with you so you don't have to stop to eat as the motorway shop prices are terrible and expensive. I find chopping up some carrot sticks and taking some garlic mayo or something to dip them in is a great idea. Not-Healthy Snacks - Some people might not be up for the 'healthy' snacks on a road trip so crisps, chocolate and sweets are another idea. Water - They say now that being dehydrated is similar to being drunk in the car as it slows down your reaction time and makes you sleepy. I like to keep water in the car at all times - I normally buy the 6/8/12 packs for a few quid in my Tesco and keep them in the back seat. Suitcase - Obviously if your going away for some time you may need to take a suitcase with clothes, plugs - whatever you need. SatNav - If like me you have a data limit on your phone - using Google Maps (or any app that uses data really) can obliterate your data limit within hours and you'll end up with a hefty phone bill the next month. So an alternative to using the map apps on your phone is to borrow/buy a TomTom - my parents have one and love it and it uses GPS and doesn't use your phone data or anything so you don't need to worry about it. What about you? 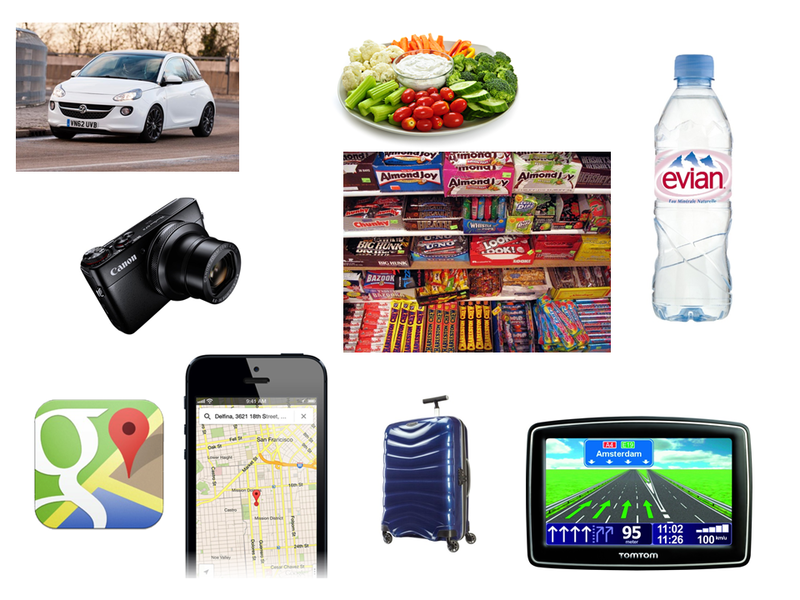 Is there anything else you'd take on a road trip?